Aico 160RC Series alarms are all third party accredited and come with a five-year manufacturer guarantee. Each alarm has built-in, tamper-proof Lithium cells that act as a battery backup in the event of a power failure. These rechargeable cells have a ten-year life and have been designed to outlive the life of the alarms and can provide up to 6 months of alarm operation without mains power. All Aico 160RC Series Alarms are supplied with an Easi-fit mounting base that offers quick and simple installation of the alarms as well as simple alarm removal and replacement. The Easi-fit base automatically connects both mains power and battery as the detector head slides on. 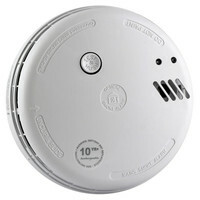 An Easi-fit RadioLINK Base can also be used to provide wireless interconnection between alarms. Aico 160RC Series Alarms are all interconnectable to other Aico mains powered alarms and the whole system can be remotely controlled by either a 'Test, Silence and Locate' Switch (EI529RC) or a Manual Call Point. 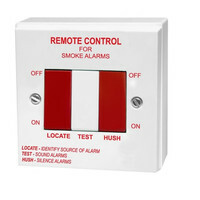 Designed to increases the flexibility and user friendliness of the Aico mains powered alarms by allowing the user to 'Test' the alarms in the system, remotely 'Locate' the source of the alarm and 'Silence' any nuisance alarms. The Aico Mains Power Heat Alarm runs on 230V AC mains power and has built-in tamper-proof cells that act as a battery back up in the event of mains failure. 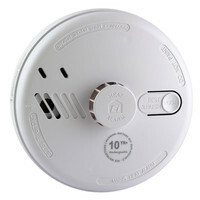 The Aico Mains Power Ionisation Smoke Alarm comes complete with an Easi-fit base and can be interconnected with other Aico mains powered alarms. The Aico Mains Power Optical Smoke Alarm runs on 230V AC mains power and has built-in tamper-proof cells that act as a battery back up in the event of mains failure. 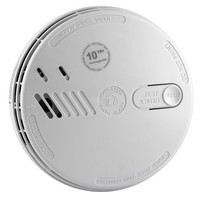 The Aico Mains Power Optical Smoke Alarm comes complete with an Easi-fit base and can be interconnected with other Aico mains powered alarms. The Aico Mains Power Heat Alarm runs on 230V AC mains power and has built-in tamper-proof cells that act as a battery back up in the event of mains failure. 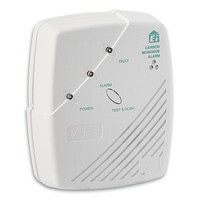 The Aico Mains Power Heat alarm comes complete with an Easi-fit base and can be interconnected with other Aico mains powered alarms. The EI68RC is designed for use with Aico 2100, 160RC and 140 Series smoke and heat alarms to facilitate a comprehensive fire alarm system without the need for cabling between alarms.